Home » Blog » Industry News » Do Houses In London Sell Faster? According to new data, flats in the capital cost 67pc more than in 2005, compared with a UK average increase of 38pc across all property types. So, with prices soaring in London, do we know whether houses in London are selling faster? In this article, we’ll examine the extraordinary tale of the London property market, compared with the broader UK market, and suggest that property is selling faster than ever in London while other regions are seeing a slowdown. September saw the largest rise in the asking price for houses in England and Wales for 13 years, according to Rightmove. They claim that the reason is cheaper borrowing methods and a lack of properties on the market, leading to what they call “market extremes”. Their research informs us that the asking price for homes rose – on average – around 0.9pc, or £2,550. This is the largest single monthly increase for the September period since 2002. This makes the average asking price for a home in the UK a record high of £294,834. The survey also discovered that the divide between England’s north and south continued to sharpen, with all four southern regions seeing an average rise of 1.3pc, while northern regions actually saw a decline of 0.9pc. In London, these increases have outstripped every other part of the country over the past decade. According to research by mortgage lender Halifax, flats in the capital are 67pc more expensive to buy than they were in 2005. 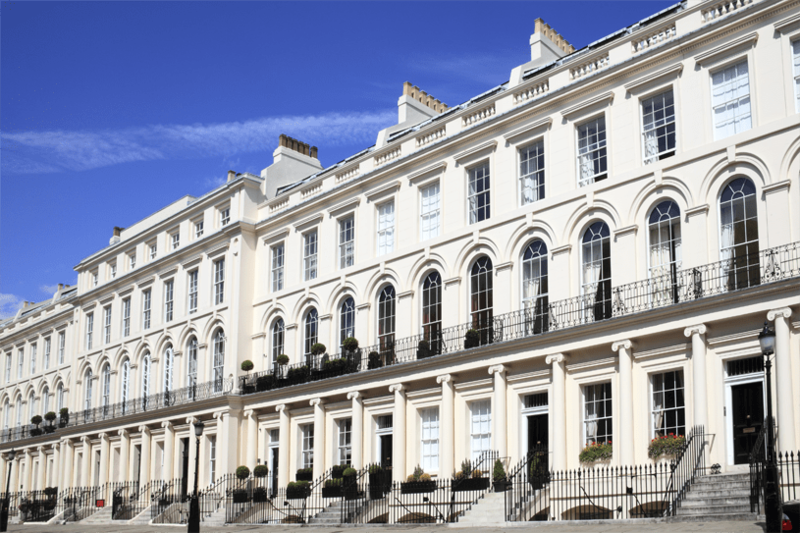 London terrace houses have seen an increase of 65pc climb in value over the last decade. It’s clear to see that London properties are in high demand, but are they actually selling faster than in the rest of the country? The short answer is yes. With the dire lack of housing stock in London compared to the rest of the UK – where even there, there’s a shortage – means that property prices are driven up and deals are stricken at a higher rate than elsewhere. If you’re a first-time buyer, this makes buying in London an almost impossible task, and we are seeing young people leave the capital for more affordable cities. For those looking for buy-to-let properties, London is still the home of investment. One way to afford that next property might be to take advantage of a bridging loan, which enables the owner to take out a sum of money to help them complete the buying process (I.e. pay for fees) – given that they have the capital coming in to pay back the loan in the given time. With properties selling so quickly across the country – but particularly in London, a bridging loan might be a sensible solution if you need to buy quickly. Ultimately, houses in London are selling faster than other parts of the UK. With no real sign of slowing down, if you’re going to invest in property, now is the time to do so. The only thing is, you’ll have to act quickly!